In 1972, Ben Scott, made a decision that would change the course of his life, his families and the local communities. After 11 years of operating three college bars in Toledo, Ohio, he applied for a McDonald’s franchise and opened his first restaurant in Piqua, Ohio in January 1974. In the beginning, sales were slow, but by November of that year, things were looking up and the company continued to grow. From 1974-1993 the company grew to 9 restaurants, including two Walmart partnerships in Sidney and Troy. Ben said he considered his people to be his biggest asset and he felt he had a great partnership with the McDonald’s Corporation. It was an exciting time to be a part of a growing company! As the company grew from 2,400 to 30,000, he and his wife, Louise went to many milestone store openings, in Toronto, San Francisco, Washington DC and Hong Kong. In 1993, after graduating from the University of Kentucky, Ben’s son Benny, entered the family business and began working on his path to become a franchise owner-operator. After completing the second generation training and development program and working through all levels of store management and supervision, he began directly working with his father to prepare to take over the family business. In 2001, Benny began purchasing ownership from his father and Ben was able to enjoy retirement. Benny credits his Dad for the amazing opportunity to join the McDonald’s system, work with him in the family business and helping him to develop the skills to become a successful business person. 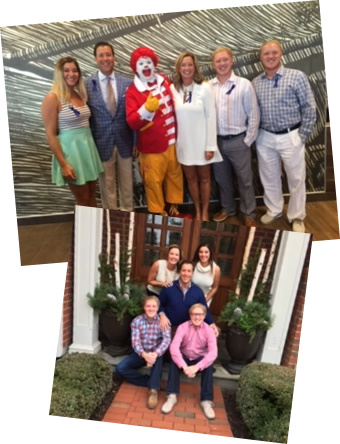 Under Benny’s leadership, Scott Family McDonald’s continues a long tradition of being highly respected in the McDonald’s system for running great restaurants and supporting their communities. The organization has grown to 14 restaurants and 1,000 employees strong. Ben Sr. (as he is referred to) is now retired. He still resides in Piqua with his wife Louise. 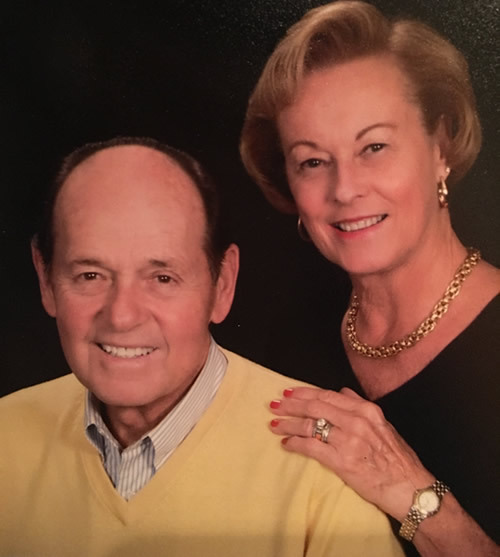 They have 6 grandchildren; they enjoy spending time with their family and visiting their favorite spots in Michigan and Florida. Benny and his wife Stacy, who is very active in the family business, have 3 children, Zack, Tyler and Ellie.